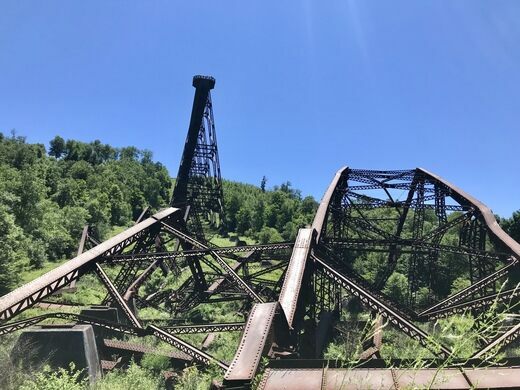 When the Kinzua Bridge was first built in 1882, people were blown away. Over a hundred years later, the bridge itself would be literally blown away. The original viaduct was approximately 301 feet high and 2,053 feet long, making it the world’s longest at the time. 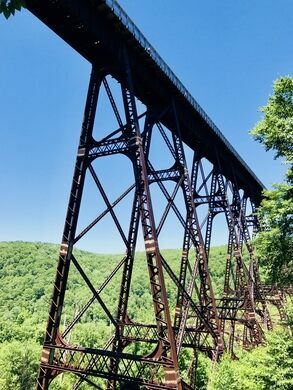 It was billed as the “Eighth Wonder of the World,” and day-trippers would come on excursion trains from as far away as Buffalo, New York to marvel at the expansive Pennsylvania construction. In 1900, the bridge was rebuilt using stronger steel in order to accommodate heavy freight trains. It took 100 to 150 men working 10-hour shifts to complete the new bridge in 105 days. Commercial trains would continue to rumble across the bridge until as late as 1959 - after that point, only the occasional, much lighter tourist train ventured along it. Inspectors closed the bridge in 2002, and, as it had become a much-beloved landmark, the restoration process quickly began. The restoration went a little differently than had been anticipated. Turns out that the bridge’s shuttering came not a moment too soon. 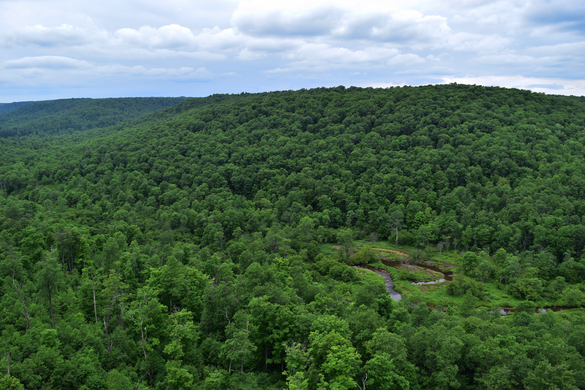 On Monday, July 21, 2003, at approximately 3:15pm, an F1 tornado with wind speeds around 94 mph struck the side of the Kinzua viaduct. Eleven towers from the center of the bridge were torn from their concrete bases and thrown to the valley floor, leaving only the end portions of the bridge intact. After that, it took just 30 seconds for the iron behemoth to come crumbling down. Repairing the Kinuza Bridge would have cost around $45 million. Instead, the state of Pennsylvania made the mangled metal an attraction in its own right. 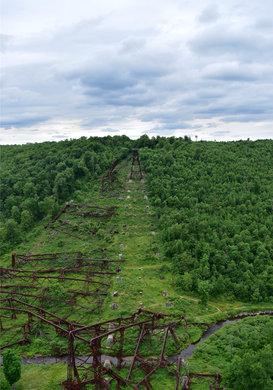 Today, visitors can walk a 300-foot restored portion of the bridge, which leads to an observation deck with a striking view of both the Kinzua Creek Valley and the wreckage below. Contrary to what one might expect, ice forms inside this small cavern during the summer and melts during the winter. A gorgeous stone viaduct crosses over a bucolic valley. The two abandoned overpasses are among the largest bridges in Poland.